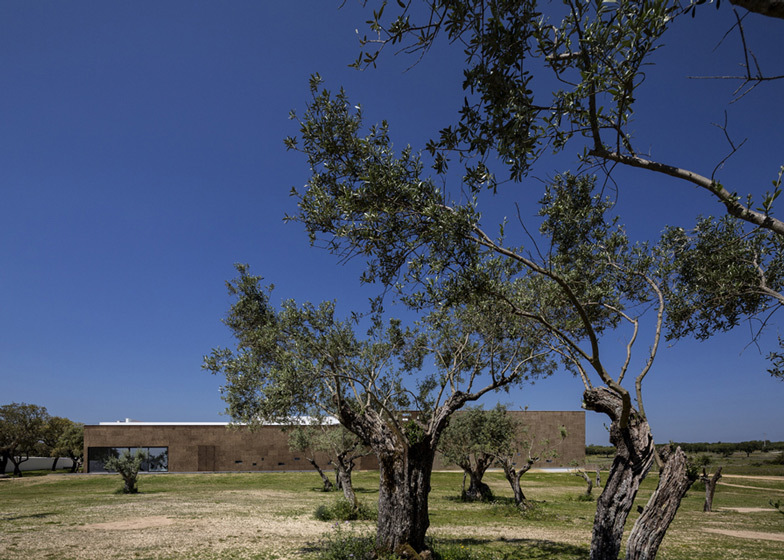 Jose Carlos Cruz completes "world's first cork-clad hotel"
José Carlos Cruz completes "world's first cork-clad hotel"
Portuguese architect José Carlos Cruz claims to have built the world's first cork-clad hotel, located amongst the olive and cork trees of Portugal's Alentejo region (+ slideshow). 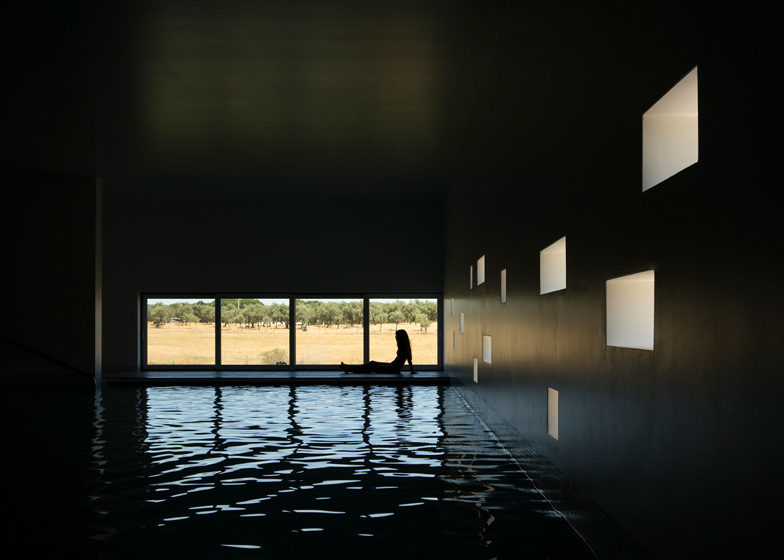 Situated outside the city of Évora, the Ecork Hotel comprises a cork-clad restaurant and leisure complex with 56 hotel suites contained in a series of adjacent bungalows. 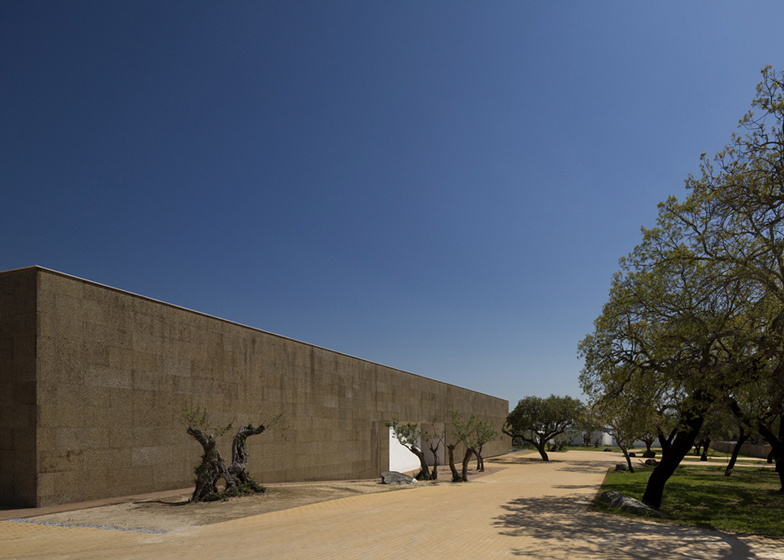 José Carlos Cruz and his design team chose cork to clad the walls of the main building because it is both readily available and highly insulating. 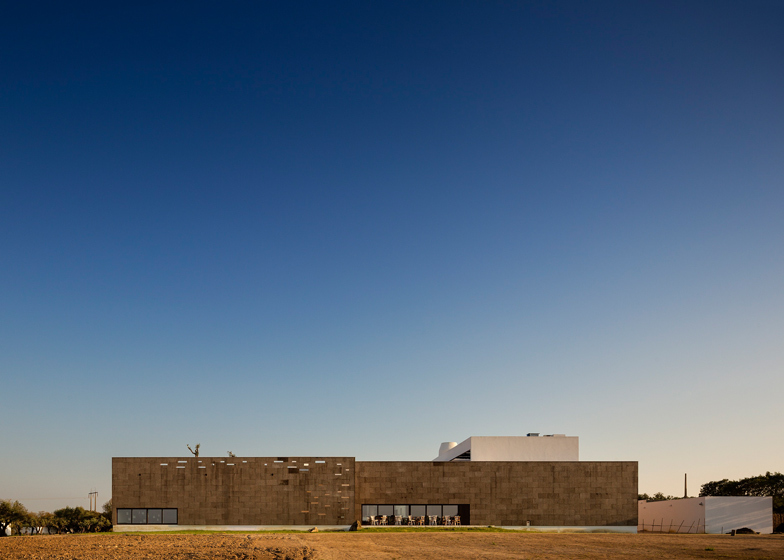 "Portugal is the second biggest exporter of cork in the world, so we thought it would be a good starting point for the building," project architect António Cruz told Dezeen. 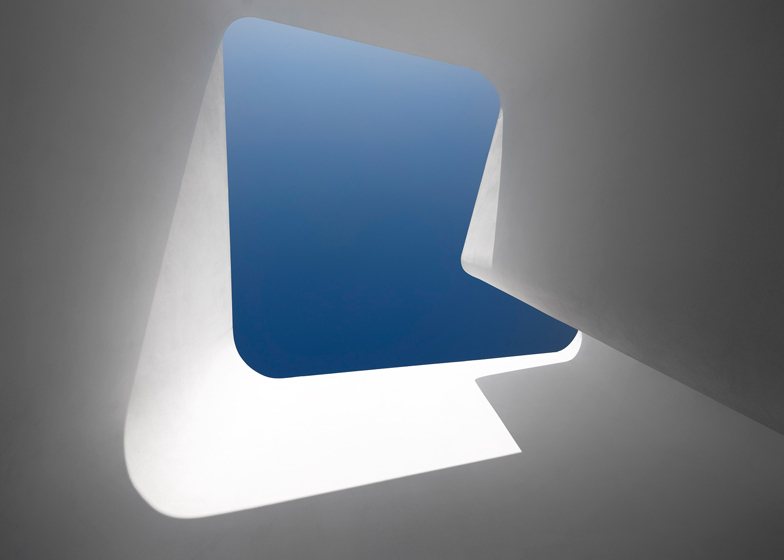 There are only a few small openings in the outer walls of the building, creating large uninterrupted surfaces of the material. 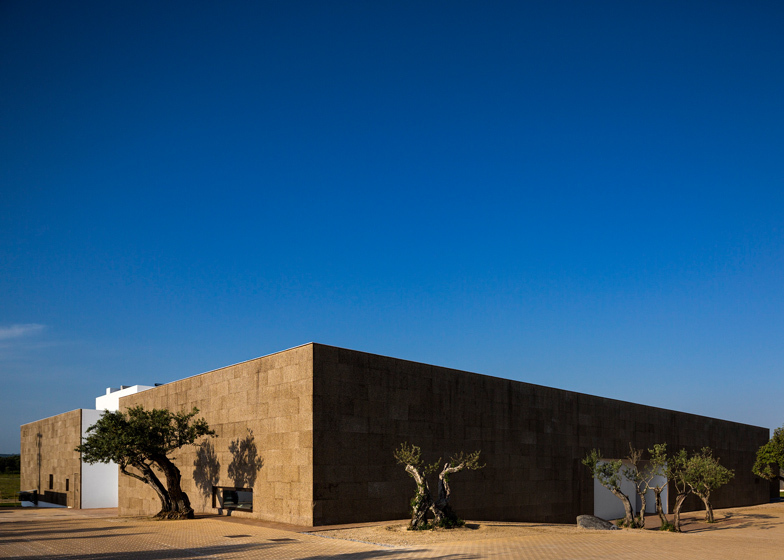 "One of our intentions was to promote cork as a cladding material," said Cruz. 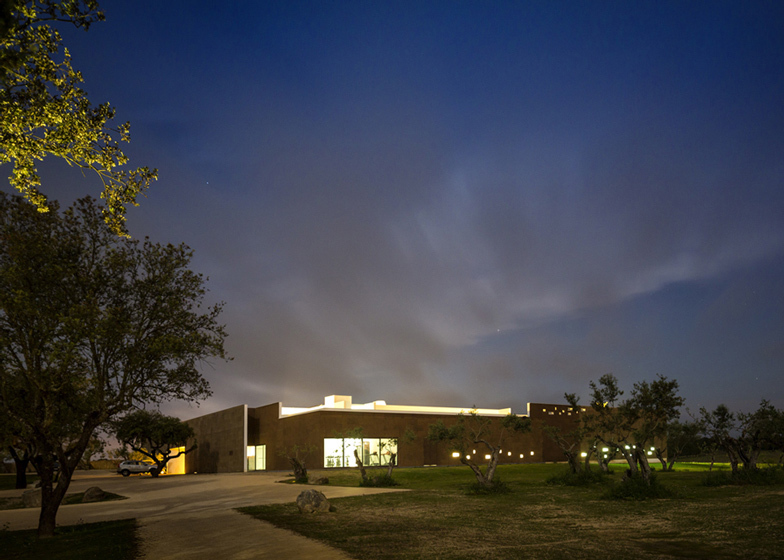 "It's a good thermal insulator and is also recyclable." 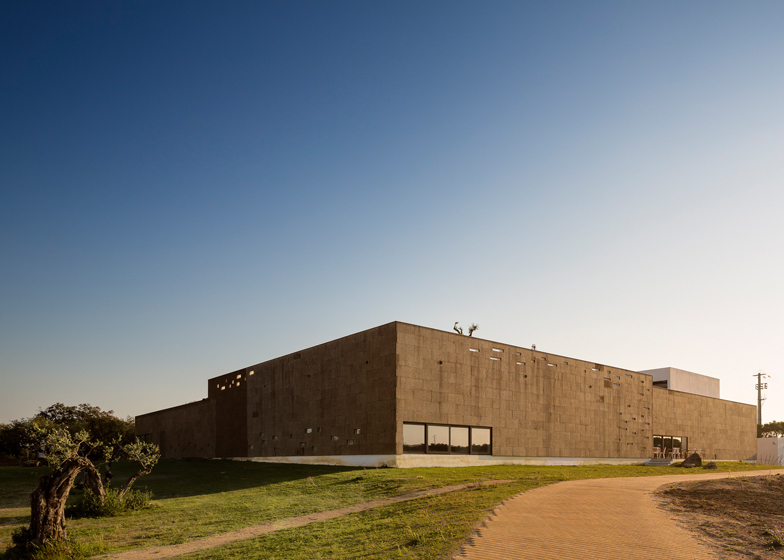 The two-storey leisure complex accommodates gym and spa facilities, conferences rooms and an indoor swimming pool, which all surround a central courtyard. 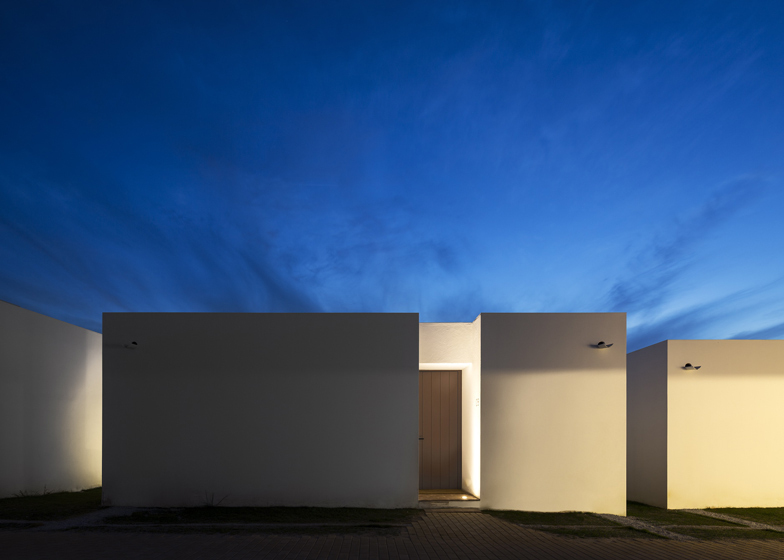 The first floor has walls but no roof, accommodating a bar, outdoor pool and sunbathing deck with views out over the rural landscape. 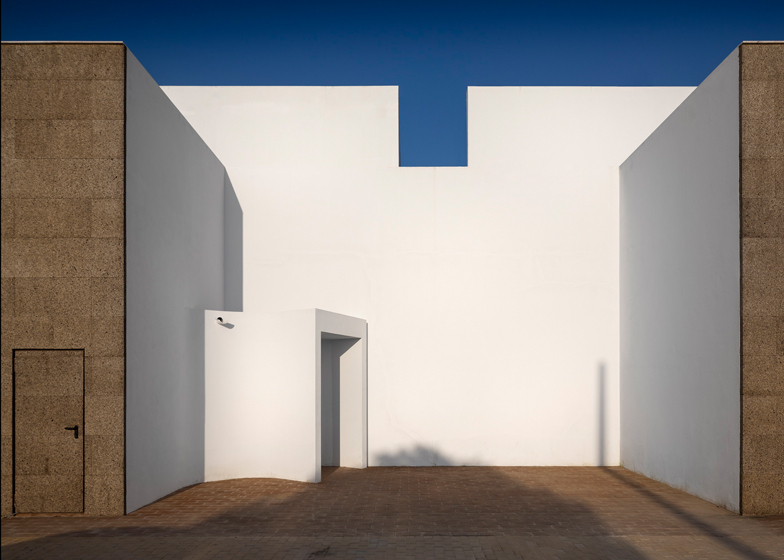 The hotel suites are set back from the main building in a layout based on the typical arrangement of a medieval Portuguese village. 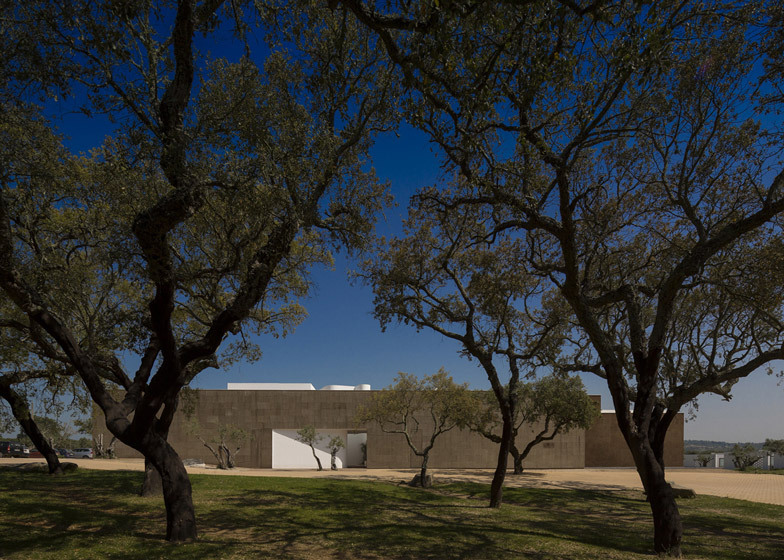 "The general plan is inspired by the medieval villages of the Alentejo, where it was common to find a main complex or castle, and several white buildings around it," said the architects. 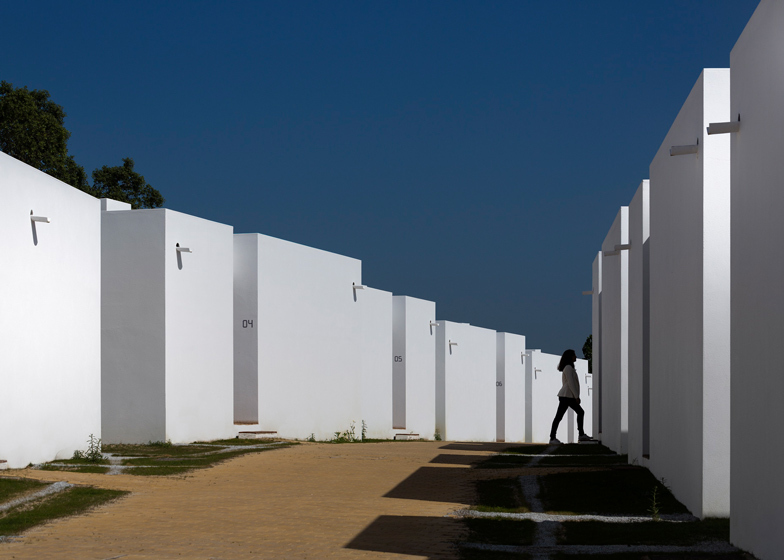 With clean white-rendered walls, the suites form rows that line the edges of walkways. 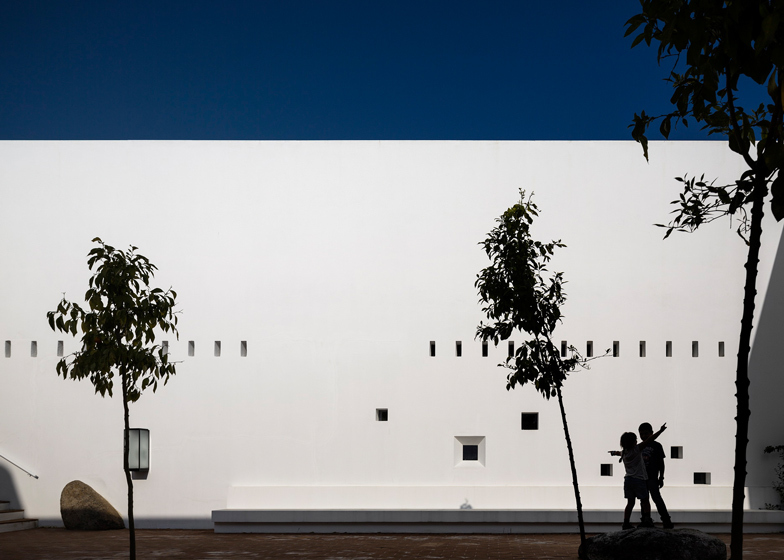 Each one comes with its own private courtyard, screened behind a perforated wall. 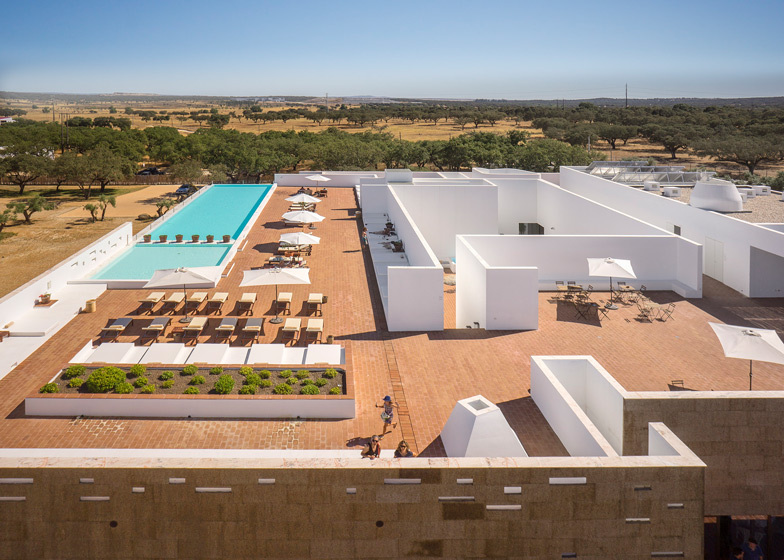 Ecork is a Hotel in Évora, Portugal, with aspa, health club, gym, restaurant, bar, conference rooms, outdoor pool and 56 bungalows. 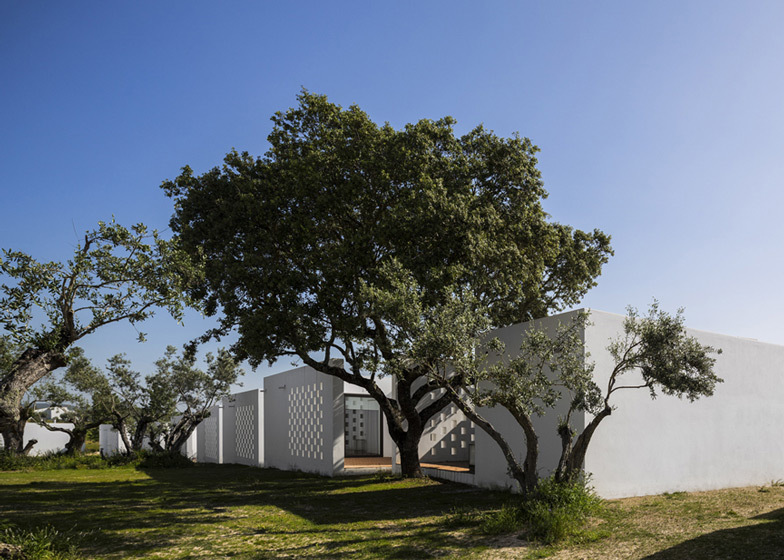 Built on a set of cork and olive trees, the general plan is inspired by the Medieval villages of the Alentejo, where it was common to find a main complex or castle, and several white buildings around it. 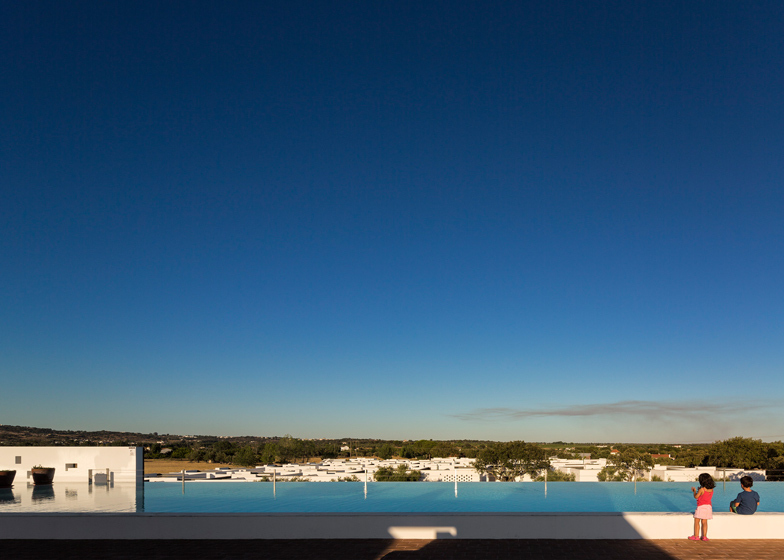 All services and hotel facilities are aggregated into a single building, freeing the land outside the bungalows. 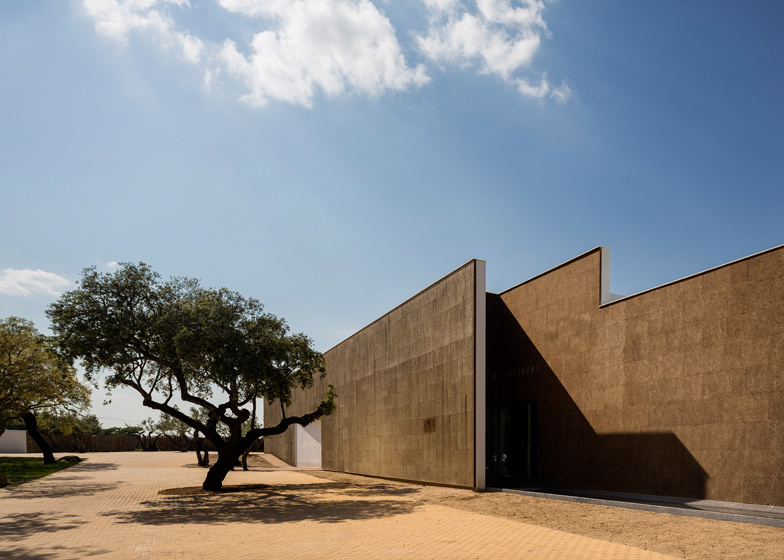 Influenced by the vernacular architecture and Arabic, is created a monolithic volume with small openings to the outside, which together with cork coating which is fully recyclable and ensures thermal protection of the building. 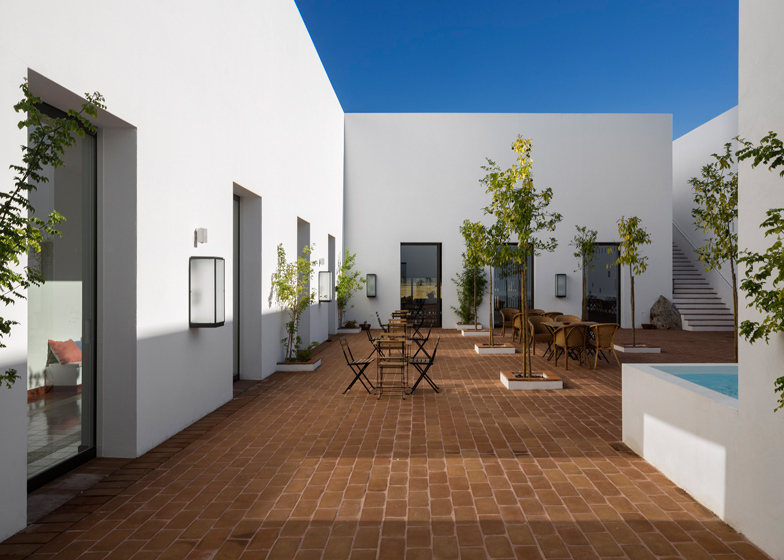 Built around a large courtyard, the layout is designed so as to take advantage of crosswinds and air circulation, thus reducing power consumption to the minimum necessary. 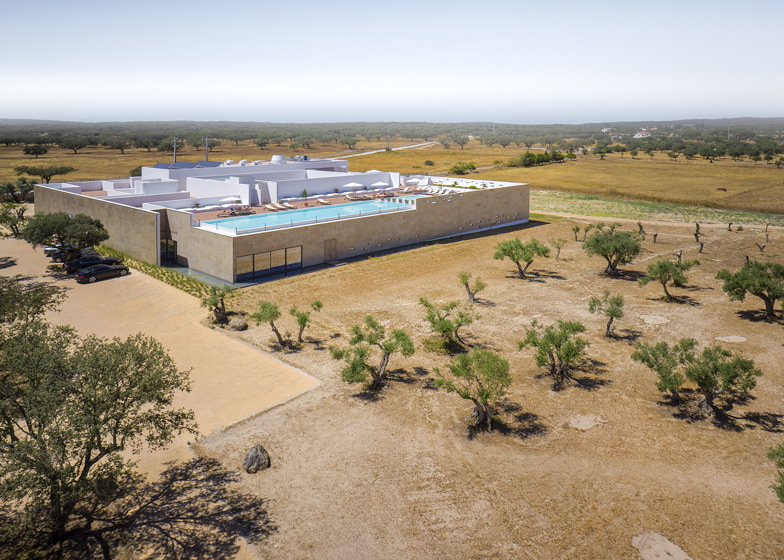 In order to ensure the lowest possible occupation and overview of the Alentejo Landscape, outdoor pool and bar are located on the roof of the building. All 56 bungalows are suites. 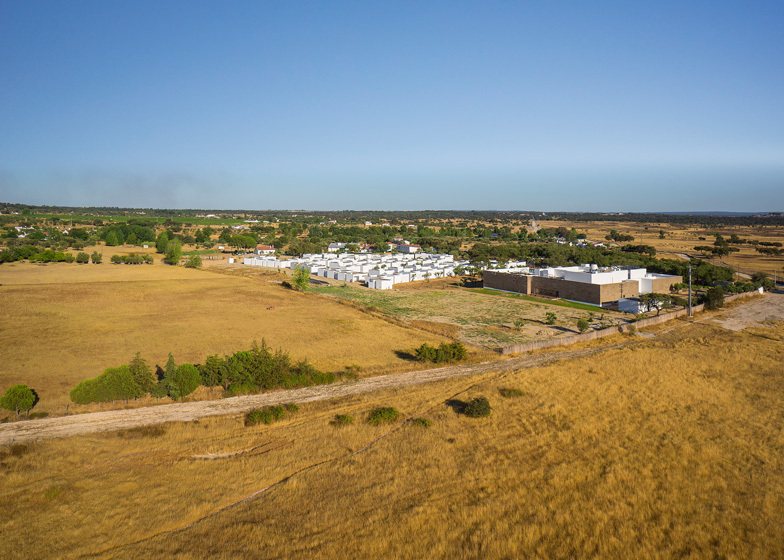 Their deployment, scattered among the olive trees around the property is defined by the structure of internal thoroughfares. 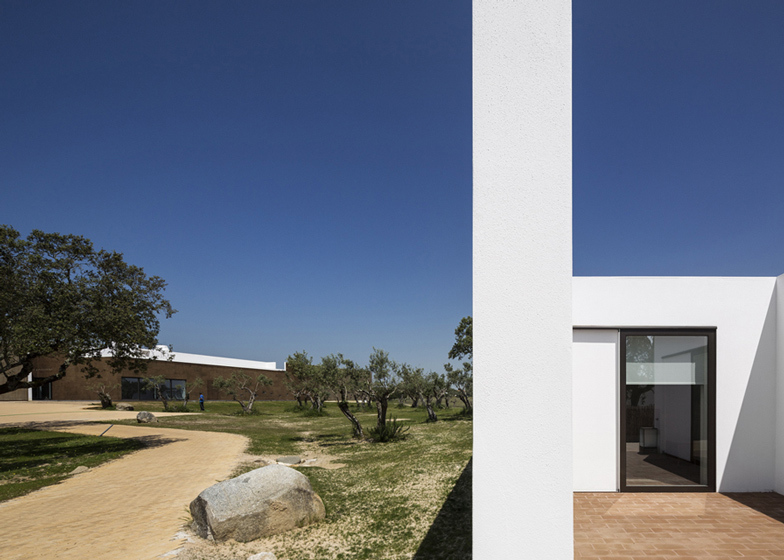 These paths are read as a series of abstract volumes and surfaces, plastered and whitewashed.